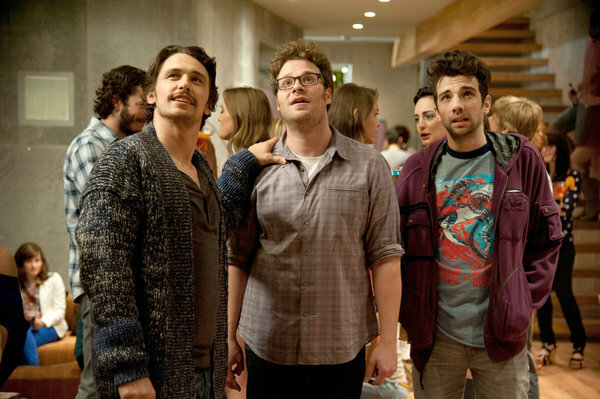 Did you know you’d be friends right away when you met on “Freaks and Geeks”? FRANCO I was just writing some poems about it. It sounds silly, but I think they’re actually pretty good. There was a period where Seth, Jason [Segel] and I all went to Jason’s house, and they would sit at one end of the room and smoke weed. ROGEN He literally would sit in the corner. Did that camaraderie continue after the show? FRANCO There was a point where most people on the show didn’t like me, because I took myself too seriously. I thought I was Marlon Brando or something. Then I pushed Busy [Philipps, a co-star] over, by accident. So everybody didn’t like me, I think, except for Seth. ROGEN When the show ended, I didn’t talk to you for years. We kind of went our separate ways, for a long time.